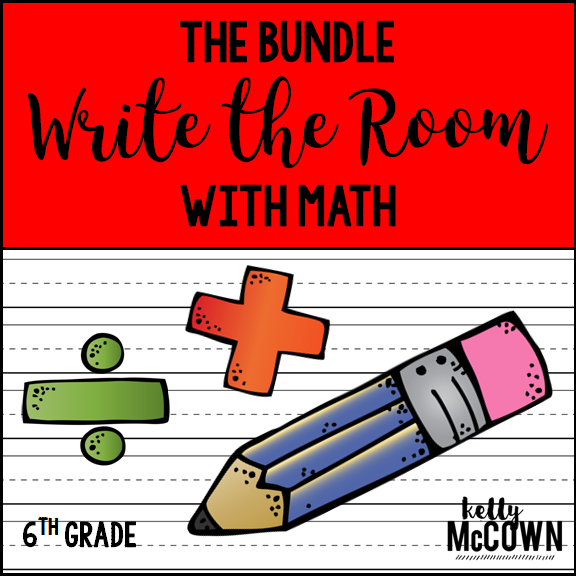 Get students moving, talking, and writing Math Vocabulary in your classroom with this set of 6th Grade Math Vocabulary Sentences. The purpose of this resource is to help students with increasing their mathematics vocabulary. Students write the Math sentences on their paper with scaffolded practice. Students are provided a list of vocabulary words to use to complete the sentences. 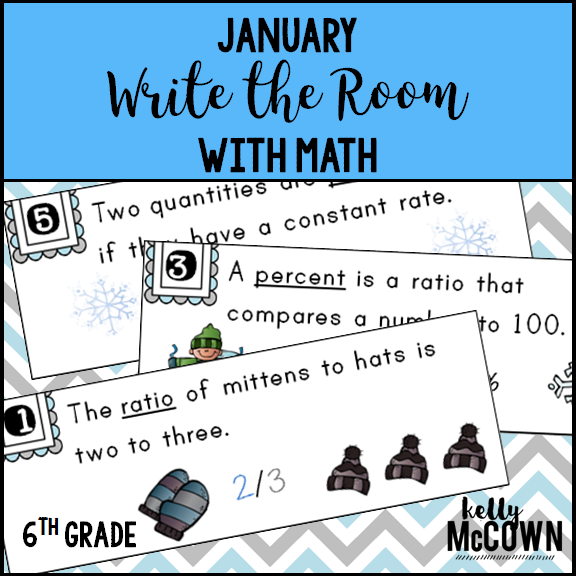 Students will be engaged and more confident practicing using math vocabulary. This NO PREP Write the Room vocabulary activity can be a success in your classroom too! 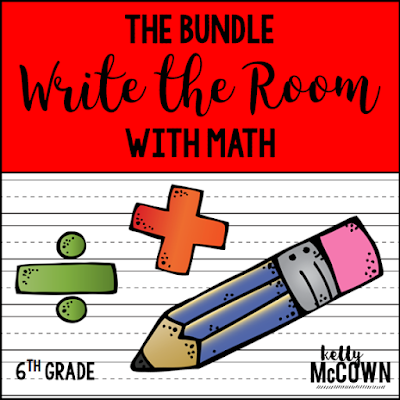 This activity is a great way to get your students actively ENGAGED in learning and processing Mathematical concepts for sixth grade. Laying the foundations of vocabulary is key for students to express thoughts and concepts about the Math they are learning. This activity is interactive, teacher facilitated, and NO PREP! Get your students practicing their vocabulary today with these Math sentences. Also available is the GROWING bundle. This is a GROWING BUNDLE. What that means is….once you buy this Bundle any vocabulary monthly set added is FREE to you! The earlier you buy this Bundle, the more $$$ you will save! This Bundle will always be at least 25% OFF the original price of all total Vocabulary Monthly Sets. You will receive a notification when new Monthly Vocabulary Packet is added and you just simply click “download” again! Get your students interacting with vocabulary today!